Intel is shrinking PCs to thumb-sized “compute sticks” that will be out next year. 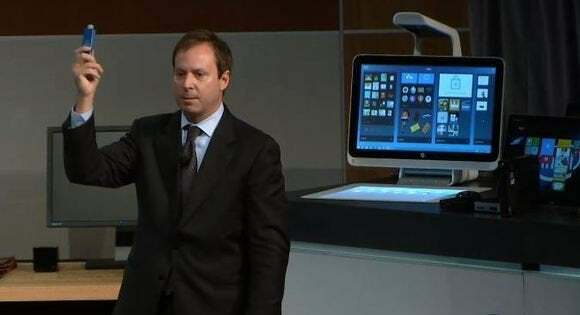 The stick will plug into the back of a smart TV or monitor “and bring intelligence to that,” said Kirk Skaugen, senior vice president and general manager of the PC Client Group at Intel, during the Intel investor conference in Santa Clara, California, which was webcast. A device the size of a USB stick was shown on stage, but its capabilities were not demonstrated. Skaugen said the devices will be an extension to laptops and mini-desktops, which have Core desktop processors in small PCs that can be handheld. Skaugen likened the compute stick to similar thumb PCs offered by PC makers with the Android OS and ARM processor. Dell’s US$129.99 Wyse Cloud Connect—which plugs into an HDMI port—can turn a screen or display into a PC, gaming machine or streaming media player. Such devices typically don’t have internal storage, but can be used to access files and services in the cloud. The Wyse Cloud Connect has Wi-Fi and Bluetooth. The market for such devices is in the tens of millions of units, Skaugen said. The compute stick will bring x86 computing to fanless designs, he said. 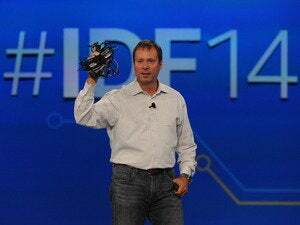 Intel makes low-power Atom processors for mobile devices, which could fit into thumb-sized PCs. It’s also likely that Intel is looking to put its processors into TV sticks like Google Chromecast and Amazon’s Fire TV stick, which are growing in popularity.